Whistleblower/Qui Tam/Relator Actions Utilizing The California Insurance Fraud Prevention Act (IFPA). The California legislature passed The California Insurance Fraud Prevention Act (IFPA), California Insurance Code section 1871.7, designed to combat healthcare fraud committed by individuals, organizations and companies. “Health insurance fraud is a particular problem for health insurance policyholders. Although there are no precise figures, it is believed that fraudulent activities account for billions of dollars annually in added health care costs nationally. Health care fraud causes losses in premium dollars and increases health care costs unnecessarily.” Cal. Ins. Code § 1871(h). Most of the money spent on health care is not paid by individual consumers, but by private insurance companies or Medicare/Medicaid. Billions of dollars are spent each year treating alcohol, substance abuse and addiction. By way of example, recent headlines have reflected the growing opioid epidemic in this country. In fact, the President’s pending budget reportedly proposes a $500 million increase to battle opioid misuse, prevention methods and drug treatment programs. Fraudulent billing claims in the area of alcohol and drug addiction treatment is rampant. The submission of bogus charges not only harms the insurance companies and government entities that pay these claims, but also harms patients and their families because it plunders and depletes their health insurance benefits and denies them funds for desperately needed treatment and services. These unscrupulous facilities take advantage of the vulnerable patient and his or her family, evoking hopes of recovery and then failing to provide the promised services all the while exhausting the patient’s insurance benefits. The California Insurance Fraud Prevention Act (IFPA), section 1871.7 allows interested persons, often referred to as the “Relator” and his/her attorneys to bring a civil action for insurance fraud for the person and for the State of California. The lawsuit is brought in the name of the State of California and is secretly filed under seal. This affords the government an opportunity to investigate the claim and determine whether it wants to intervene in the action. If the government decides not intervene, the court unseals the complaint and the Relator can proceeds on his/her own. If the government decides to intervene, the Relator and his/her attorney stays involved in the lawsuit, but the government has the primary responsibility for prosecuting the action. Penalties, treble damages and attorney fees may be recovered. (5) Knowingly prepare, make, or subscribe any writing, with the intent to present or use it, or to allow it to be presented, in support of any false or fraudulent claim. (6) Knowingly make or cause to be made any false or fraudulent claim for payment of a health care benefit. (1) Present or cause to be presented any written or oral statement as part of, or in support of or opposition to, a claim for payment or other benefit pursuant to an insurance policy, knowing that the statement contains any false or misleading information concerning any material fact. (2) Prepare or make any written or oral statement that is intended to be presented to any insurer or any insurance claimant in connection with, or in support of or opposition to, any claim or payment or other benefit pursuant to an insurance policy, knowing that the statement contains any false or misleading information concerning any material fact. (3) Conceal, or knowingly fail to disclose the occurrence of, an event that affects any person’s initial or continued right or entitlement to any insurance benefit or payment, or the amount of any benefit or payment to which the person is entitled. The government is looking to the public to help combat insurance fraud. The California Insurance Fraud Prevention Act provides an avenue for recovery for individuals who have witnessed or experienced fraud while working at or obtaining treatment from alcohol, drug and substance abuse facilities. 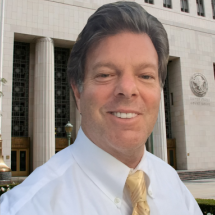 If you or a loved one has been a victim of such wrongdoing or have witnessed or have firsthand knowledge of fraud or abuse at a substance abuse treatment facility, please contact Southern California attorney Frederick Schwartz at the Law Office of Frederick S. Schwartz for a personal and confidential free consultation. Most accepted cases are taken on a contingency basis wherein no fee is taken unless there is a monetary recovery. Also, reporters of fraud and wrongdoing may act as a “whistleblower” and qualify for incentive awards from the court.